Acoustical Solutions, demonstrates how to use Acoustone Speaker Cloth to create beautiful speaker covers with the acoustically transparent acoustical fabric. If you need to compare fabric colors or see a larger sample, please Contact Us with the scope of your project requirements. Is there a less expensive way to ship small quantities of fabric? This fabric is shipped on rolls to ensure that it does not bend or crease. There is a minimum cost to maintain this quality. Shipping economy increases when larger amounts of material are ordered. Does this ship as one continuous piece of material? Acoustone grille cloth will ship as a continuous piece of fabric. If you order 10 yards, you will receive a continuous 10-yard piece. The only exception would be on large orders where the material would exceed the shipping and packing limitations. Will speaker cloth interfere with Wifi signals? Notes: Cloth is cut to quantity of yardage ordered. It will ship as one continuous piece. 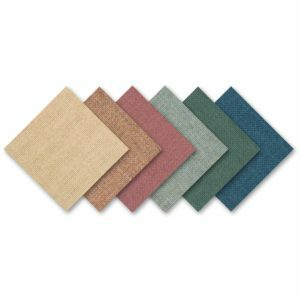 Acoustone Stretch Fabric is designed and engineered for sound transmissibility and aesthetic appearance. The acoustically transparent material works very well as a speaker cover or for an acoustical fabric stretch panel system. Their fundamental structure smooths the way for sound, dramatically reducing sound loss common with ordinary spun yarns. Grille cloth will ship as a continuous piece of fabric. If you order 10 yards, you will receive a continuous 10-yard piece. The only exception would be on large orders where the material would exceed the shipping and packing limitations. Notes: While we make every attempt to accurately display fabrics, colors may vary between dye lots and your screen settings. If you are unsure of a fabric color or need to see a larger sample, please Contact Us with the scope of your project requirements. All fabric is custom cut to order and non-returnable. Packing: We cut your grille cloth to the quantity of yardage that you order and we will ship it as a continuous piece of fabric on a single roll. Vacuuming or light brushing is recommended to prevent dust and soil buildup. Clean with mild, water-based cleaning agents, foam or pure, water free solvents. Color Width 1 yd. 2 yds. 3 yds. 4 yds. 5+ yds. B100, B200, B300, B400 66″ $54.75/yd. $39.75/yd. $34.75/yd. $32.25/yd. $24.75/yd.